Hard Drive Crash? Data Loss? We can Help. It is mainly a mechanical failure in a hard disk drive that will require a clean room. We operate our own class 100 clean air environment that is constantly monitored for particle contamination to ensure that your hard disks are opened in the correct environment.When opening a hard disk it is important that it is done in a clean air environment. •	There will be no diagnosis fee. •	If it is not possible to recover the data you need - no charge. •	All our prices are on a fixed quotation basis. •	There are no hidden charges. The device will no longer be recognised by the computer when inserted.The device will be recognised but appear empty or show the wrong storage capacity. DATA RECOVERY CENTER delivers dedicated, fast and cheap recovery of your data lost by natural, mechanical, physical or logical disasters. 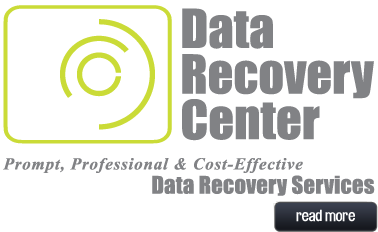 DATA RECOVERY CENTER provides technology-driven services and software to help recover, search, analyze and produce data efficiently and cost-effectively. DATA RECOVERY CENTER services a variety of customers in the legal, government, corporate and financial markets. If you have experienced data loss you will know how potentially stressful and inconvenient it can be, DATA RECOVERY CENTER are a company you can trust with your files and be assured that you have left your data in safe hands. 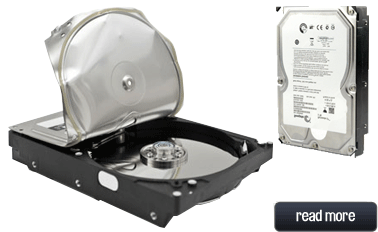 All data recovery work undertaken by DATA RECOVERY CENTER is under a Free diagnosis and a no recovery no-fee policy. If we can't recover your data, then there is no fee for you to pay. If you have lost data or your RAID array has stopped working and contact us now. Clean Air Environment When opening a hard disk it is important that it is done in a clean air environment. 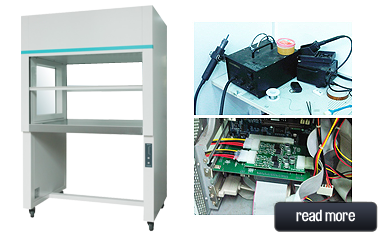 We have our own class 100 clean air environments for the disassembly, repair and reassembly of hard disks, we perform our own electronics repair where necessary and have the tools to read and write hard disk ROM on most hard disks. We are also able to modify hard disks circuit boards to use external ROM so we can modify the ROM code. G-20, Ground Floor, Plaza Imbi, Jalan Imbi, 55100 Kuala Lumpur, Malaysia. Copyright © DataRecoveryCenter.com.my All rights reserved.